The BAC Clinic of Chiropractic is the only chiropractic clinic in Siouxland that offers Med-X Testing and Rehabilitation machines. 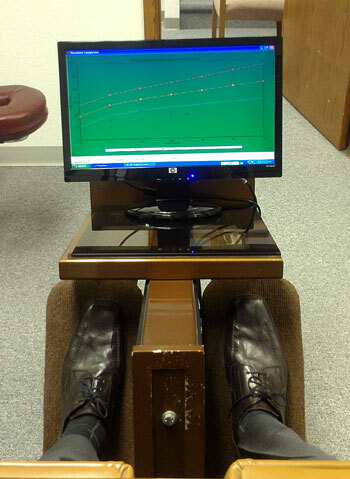 Med-X equipment is recognized as one of the most effective testing and rehabilitation machines available today. 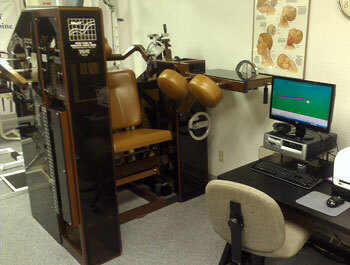 The Med-X Cervical and Lumbar Extension Machines are specialized rehabilitation and testing machines. With this equipment, we can very specifically test the strength of the cervical (neck) and lumbar (low back) muscles and, through rehabilitation, strengthen these muscles. A course of Med-X treatment includes two types of testing. The first test is called the “Static Test” and the second is the “Dynamic Test”. The Static Test requires pushing backwards at seven different angles to specify if and where any muscular weaknesses occur during basic extension. The Dynamic Test requires pushing a specified weight repeatedly through your specific range of motion. The Med-X machine itself will neither make you move where you hurt nor will it make you push harder than you feel comfortable. You will have total control of your effort. In other words, you move the machine - the machine does not move you. The MedX Cervical and Lumbar Extension Machines have been extensively researched and studied at the University of Florida. Tests show remarkable increases in lasting strength with the use of this equipment. In fact, recently published scientific research dramatically validates the efficacy of MedX rehabilitation of chronic Neck and low back pain. A study published in the January 1999 edition of the Archives of Physical Medicine and Rehabilitation showed that 35 or 38 patients recommended for spinal surgery were able to forego the surgery following 21 Med-X sessions over a 10 to 12-week span. Although the study does not prove that increased strength prevents surgery, it does suggest that certain people can avoid surgery with proper spinal exercise therapy. We are proud to be able to include the Med-X equipment as an available part of your treatment plan in this clinic. Further information concerning this and other studies and information on Med-X research can be found at Med-X Online.